A loan of $450 helped to buy vegetable seeds and other farm supplies. As the married parent of three children, Erlinda works hard to support her family. 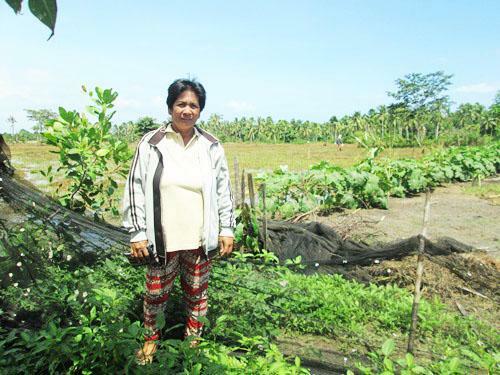 She earns a living by raising vegetables in the Philippines, and also earns additional income from buying and selling rice. She is requesting a loan for PHP 20,000 from NWTF to buy vegetable seeds and other supplies for her farm. She has successfully repaid 21 previous loans and will use this one to further build up her business. She hopes that her hard work will help her attain her dream of saving enough money to buy more farm land.